WASHINGTON (CN) – The U.S. 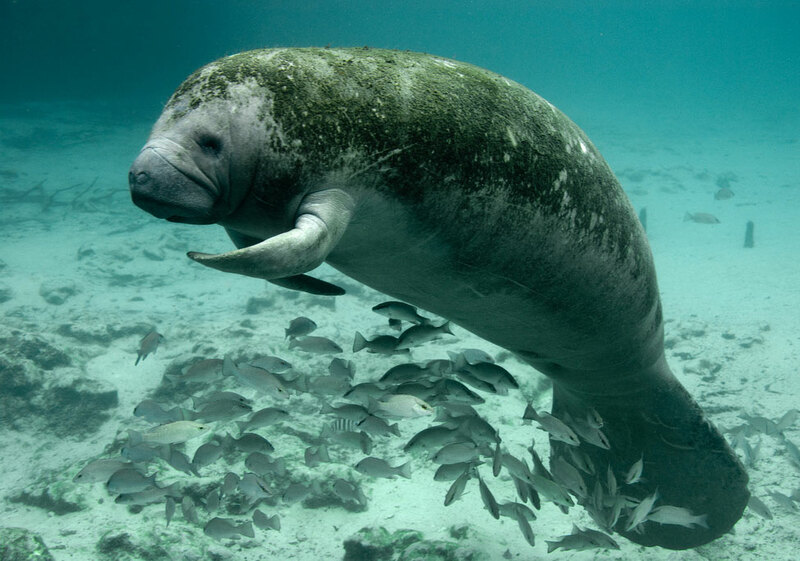 Fish and Wildlife Service has downlisted the West Indian manatee from endangered to threatened species status in response to a lawsuit, despite increasing threats. Environmentalists cautioned that the iconic species has not yet recovered enough to warrant the status change under the Endangered Species Act. “Thanks to the safety net of the Endangered Species Act, broad public support and conservation efforts by the state, manatee numbers have improved over the past few decades,” Jaclyn Lopez, Florida director at the Center for Biological Diversity conservation group said. “But manatees are still in danger. With ongoing threats posed by boat strikes and habitat loss, we don’t support reducing protections through downlisting yet.” The CBD further maintained that “2016 was the deadliest year to date,” for the manatees. The West Indian manatee, including the Florida and Antillean subspecies, was grandfathered into the List of Endangered and Threatened Species when the Endangered Species Act (ESA) was enacted in 1973, along with other species that had been listed under the Endangered Species Conservation Act, which preceded the ESA. When the manatees were listed, there were only a few hundred Florida manatees. Now they are estimated to be around 6,000. Numbers for the Antillean manatees in the Caribbean Sea and eastern coast of Mexico and Central America, may be similar, according to the downlisting proposal published in January. “Despite this positive trend, the threats that landed the manatee on the endangered species list, principally boat strikes and habitat loss, persist today at virtually the same rates. Indeed manatee mortality from all sources has increased since 1973, and threats restrict the animals’ ability to truly recover from being threatened with extinction,” the CBD said. Since they were listed, the agency has conducted regular status reviews. In 2007, the five-year review included a recommendation that the species be reclassified from endangered to threatened status. In 2012, the Pacific Legal Foundation (PLF), a self-described “limited government” legal group, filed a petition on behalf of Save Crystal River, Inc. requesting that the agency act on the reclassification. When the agency did not move forward in a timely manner, the PLF filed suit against the agency in 2014. Notwithstanding the agency’s funding constraints, other factors impinging on the manatees’ status have changed since the 2007 recommendation. Notably, the manatees suffered two unexplained mass die offs, and the ever-worsening effects of climate change, including severe cold weather events, and increased human populations and associated water activities have added to the threat levels for the manatees. The service adamantly maintains that the ESA protections will remain the same for threatened manatees as for endangered manatees. In addition, the charismatic animals are protected under the Marine Mammal Protection Act, as well as state and international regulations. However, under the ESA, “special rules” are allowed for threatened species that are not allowed for endangered species, including exemptions for harm or mortality to the animals for various reasons. The Center for Biological Diversity’s 2014 report found that 668 manatees died from boat collisions in Florida alone between 2008 and 2014. “Despite this, both the Service and Army Corps of Engineers continue to authorize construction of thousands of projects that facilitate increased watercraft access to Florida waters,” the group said. The PLF’s client, Save Crystal River, Inc., is a non-profit dedicated to preserving the Florida “recreational lifestyle” for their community. “Conserving and securing Florida’s waterways and natural resources for future generations is not only our goal, it is our obligation. We are committed to honor Florida and its water culture that past generations cultivated and handed down,” according to the group’s website.